Ultrasound and optical imaging combo offers improved atherosclerosis detection. The American Heart Association has highlighted atherosclerosis as one of the leading causes of death over the past 100 years. A major cardiovascular disease, atherosclerosis occurs when plaque accumulates on the insides of arteries, causing them to thicken and harden. When plaque ruptures, it can block blood flow and lead to heart attack, stroke, or other problems. To improve plaque visualization, minimally invasive methods such as intravascular ultrasound (IVUS) and optical coherence tomography (OCT) are gradually being used in clinical practice. Yantian Zhang, PhD, program director for the imaging technology development branch of the Cancer Imaging Program at the National Cancer Institute in Bethesda, Maryland, notes that both ultrasound and optical imaging rely on endoscopic approaches but examine different aspects of the vessel wall and plaque. IVUS can provide visualization of the entire plaque burden, while OCT can measure the fibrous cap thickness. However, their use is limited due to the intrinsic technical drawbacks of using those technologies separately. "In general, and without using exogenous contrast agents, ultrasound imaging signals reflect varying degrees of echogenicity while optical imaging signals reflect differences in light absorption—and reflectance in the case of OCT—of intraluminal masses and the vessel wall," Zhang says. "A combined approach can potentially lead to improved imaging results for detecting early-stage vascular diseases, ie, improved sensitivity and specificity for assessing plaque vulnerability, and can be used to explore dynamic interactions of biological/pathological factors that contribute to disease onset and progression, as well as their response to therapy." "OCT provides powerful resolution capability for detecting thin fibrous caps and other plaque characteristics but lacks the imaging depth necessary to quantify plaque volume and lipid/necrotic core size," adds Zhongping Chen, PhD, a professor and director of the f-OCT Laboratory in the department of biomedical engineering for the Beckman Laser Institute at the University of California, Irvine. "IVUS has an excellent imaging depth range but lacks the high resolution and sensitivity. Thus, these two imaging modalities provide complementary information of the two major characteristics of vulnerable plaque." Several clinical studies have demonstrated the limitation of using a separated OCT or IVUS system to characterize plaques. Clinical studies using separate IVUS and OCT catheters also validated this observation. A 2007 study of 30 patients with acute myocardial infarction compared the ability of OCT and IVUS to assess vulnerable plaques. A 2008 study imaged and evaluated plaques in vivo in 56 patients using separate IVUS and OCT catheters. That study found that neither modality was capable of identifying vulnerable plaques accurately, but the two modalities provided complementary information about vulnerable plaques. "Accordingly, they proposed that the combined use of IVUS and OCT may be a sensible tool to detect vulnerable plaques," Chen says. In 2015, an ex vivo study with a bigger sample size was conducted and validated this proposed idea. In this study, 685 regions of interest were imaged. "Since this study was performed on cadaver samples instead of live patients, histology slides of the imaged regions could be dissected and analyzed to compare with image-guided diagnosis," Chen says. "By using histology as the gold standard, the positive predictive value was found to be increased from 19% (IVUS only) or 41% (OCT only) to 69% when IVUS was used in combination with OCT. Thus, they concluded that the combined use of OCT and IVUS may improve the detection accuracy of vulnerable plaques. These studies demonstrated that the combined use of OCT and IVUS can significantly improve the ability to diagnose vulnerable plaques." The challenges, Chen notes, include the development of a miniature combined IVUS/OCT probe that fits into the standard catheter sheet, design of a rotary joint that enables coupling of both optical signal for OCT and electrical signal for IVUS, and improvement of the speed of IVUS to match the speed of the OCT system. The integrated IVUS/OCT ideal is well received in the interventional cardiology community. Several reviews of interventional cardiology have mentioned IVUS/OCT as a promising technology for diagnosis of vulnerable plaques. OCT Medical Imaging Inc, a company that Chen cofounded, received a $2.9 million small business innovation research award from the National Institutes of Health last year to translate this technology for clinical applications. In addition, Terumo Inc, has also invested in this technology. 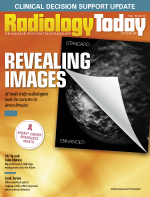 "Currently, multimodal intracoronary imaging requires introducing separate imaging probes. Current practice not only requires a laborious matching procedure for image coregistration and fusion [but] it is also time consuming and costly," Chen says. "Therefore, it is significantly advantageous to integrate IVUS/OCT imaging into a single system." Chen led the group that demonstrated the first integrated IVUS/OCT system in 2010. "We demonstrated in vivo imaging with an integrated IVUS/OCT system in pigs and rabbits in 2014. The translation of this technology to clinical use has been limited by the imaging speed," he says. "In 2015, we introduced an ultrafast optical-ultrasonic dual-modality imaging system and flexible miniaturized catheter, which removes the barrier to the translation of this technology into clinical practice." This system can safely perform simultaneous IVUS/OCT imaging at 72 frames per second in vivo, ie, visualizing a 72 mm-long artery in four seconds. Results obtained in atherosclerotic rabbits in vivo and human coronary artery segments show that this ultrafast technique can rapidly provide volumetric mapping of plaques and clearly identify vulnerable plaques. Chen says IVUS is used to visualize the size of a plaque burden, such as the lipid core of a vulnerable plaque. However, the axial resolution of IVUS is only 100 to 200 µm and, thus, cannot measure the thickness of a fibrous plaque cap. "In contrast, the axial resolution of OCT is better than 10 µm and allows accurate measurement of the thickness of a fibrous cap," Chen says. "However, OCT can only penetrate ~1.5 mm in coronary arteries, making it challenging for evaluating the size of a large lipid core. OCT and IVUS provide complementary information for high-risk plaque identification: OCT has high spatial resolution but low penetration depth. IVUS has deep penetration depth but low resolution." Other methods of imaging plaque more effectively are generating interest throughout the medical industry. One, an imaging system known as intravascular photoacoustic (IVPA) imaging, produces 3D images of the insides of arteries. Instead of optical light and ultrasound, IVPA uses short laser pulses delivered through an optical fiber. Many believe that it can help doctors diagnose plaques on the brink of rupturing. Earlier this year, a joint venture between researchers from Purdue University in West Lafayette, Indiana; Indiana University School of Medicine in Indianapolis; and the Shanghai Institute of Optics and Fine Mechanics in China, developed a new IVPA/ultrasound catheter design with collinear overlap between optical and acoustic waves within a tiny probe designed to significantly improve the sensitivity and imaging depth of IVPA imaging. The new probe allows the optical beam and sound wave to share the same path throughout imaging—rather than overlapping, as in previous designs—revealing fatty arteries in all of their unctuous detail. Going one step further, Raiyan T. Zaman, PhD, an instructor of cardiovascular medicine at Stanford University School of Medicine in Stanford, California, was the lead author on "Harnessing Radioluminescence and Sound to Reveal Molecular Pathology of Atherosclerotic Plaques," which recently earned the 2017 SNMMI Henry N. Wagner Jr., MD, Best Paper Award. Her research combines a PET element with optical-acoustic imaging, and it provides better resolution and more in-depth information on thin-cap fibroatheroma (TCFA) compared with catheterized angiography, the current gold standard. The system, Circumferential Intravascular Radioluminescence Photoacoustic Imaging, is the first clinical imaging system able to detect vulnerable plaque in its earliest stages. "We tested this system in mice carotid artery models, in addition to human carotid endarterectomy tissue samples," she says. "It is a multimodality imaging system that detects the location of vulnerable plaque and finds its diseased tissue composition. This is the only imaging system that can not only detect TCFA but also find its tissue composition. The results have a one-to-one correlation with histology analysis." The study is ongoing. Zaman just tested the system in an in vivo rabbit model and is continuing with pig coronary artery models. In three years, she hopes, the system will be transferred into the clinic for human trials.